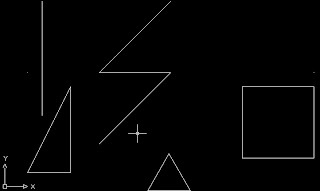 Submit a drawing named “Full Name 1-1 Lines” to the relevant handin folder, with various lines drawn on it, using each of the absolute, relative, and polar techniques. Stay within the bounds of (0,0) and (100,100). When this assignment is evaluated you will asked specifically how you used each of the line drawing techniques (absolute, relative, polar).